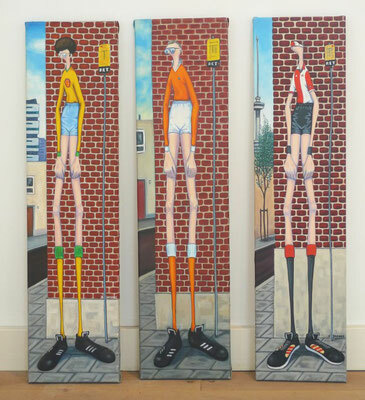 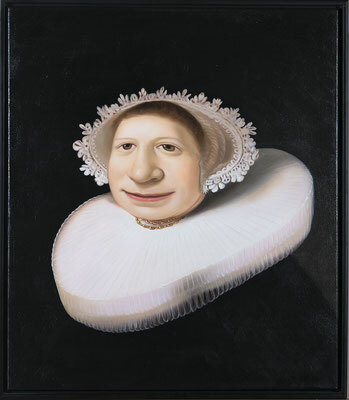 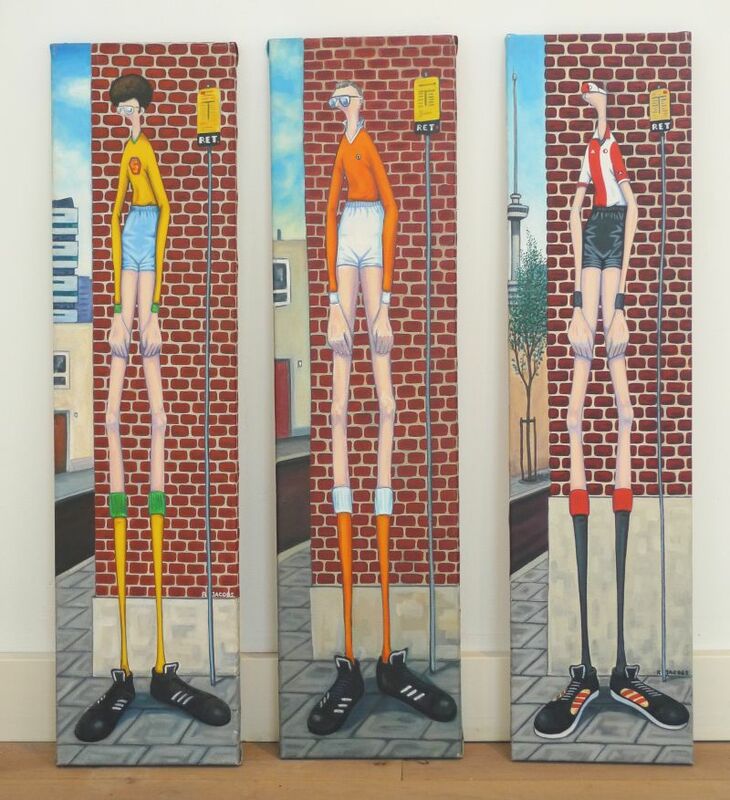 René Jacobs is a 48 year old artist who was born in Rotterdam. 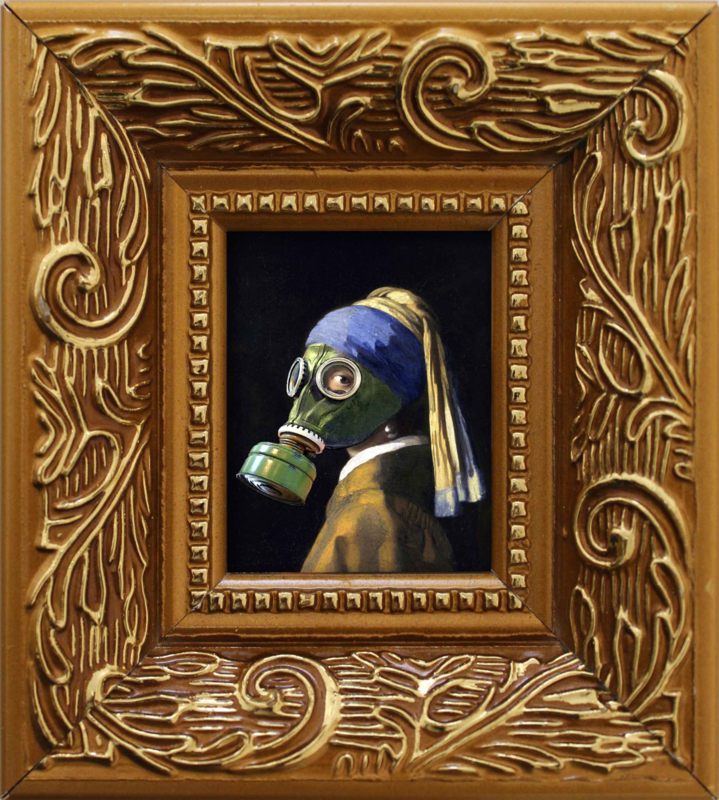 Rene Jacobs always has been fascinated by the past and its relation with the present. 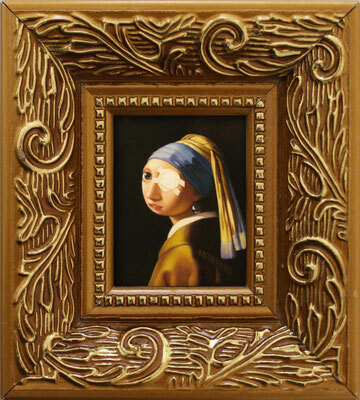 Painters like Leonardo Da Vinci, Rembrandt, Rogier van der Weyden and Vermeer have been his teachers and have remained an important source of inspiration. 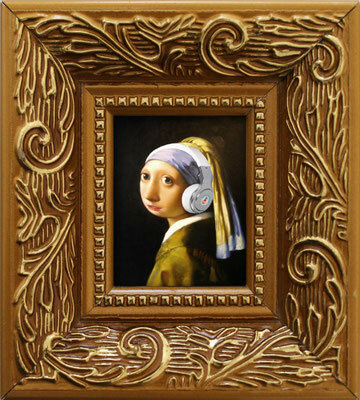 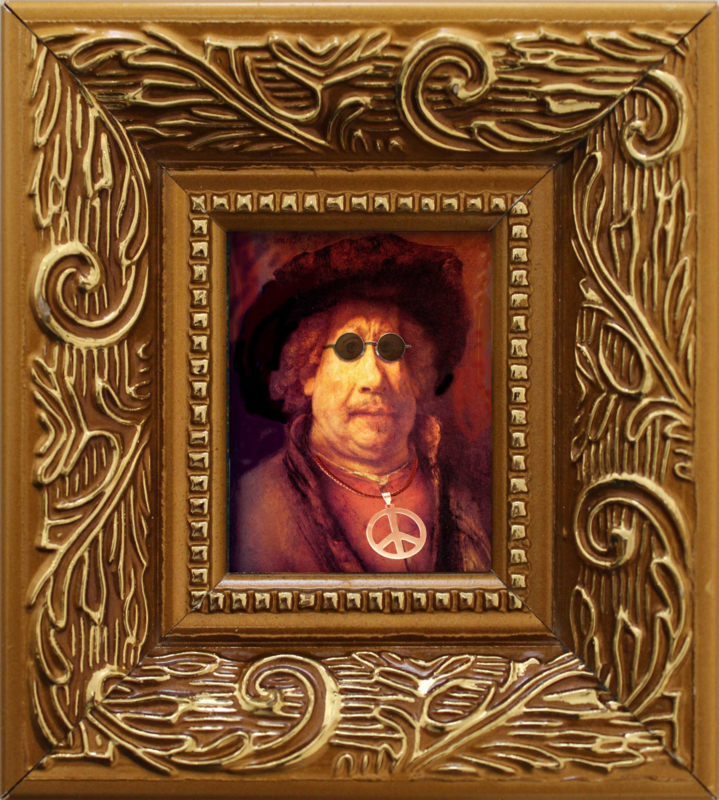 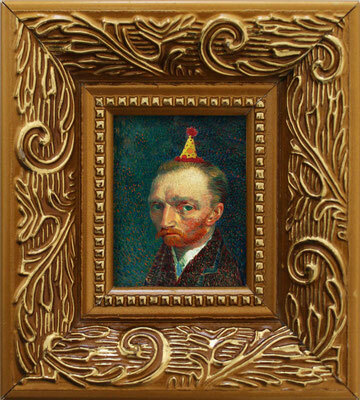 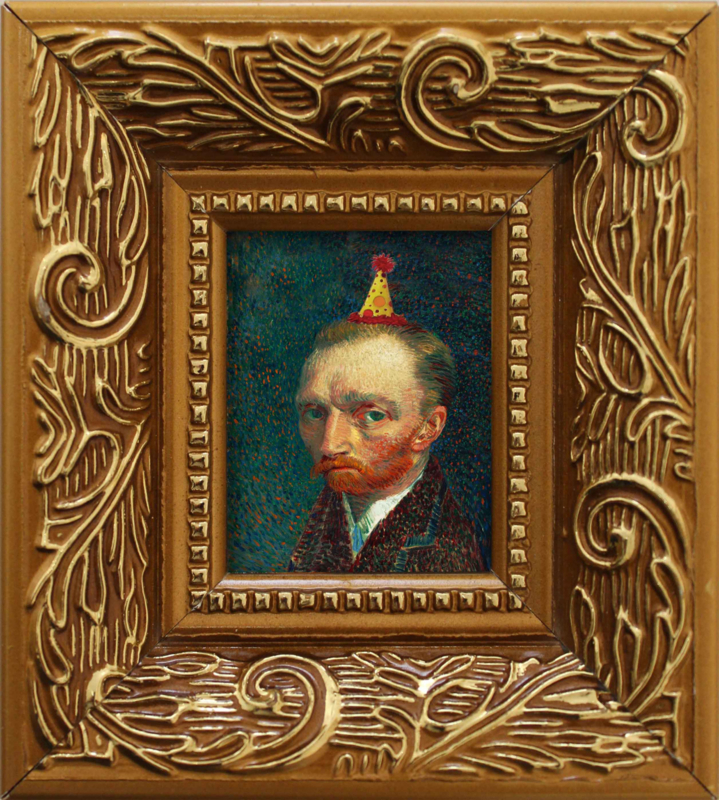 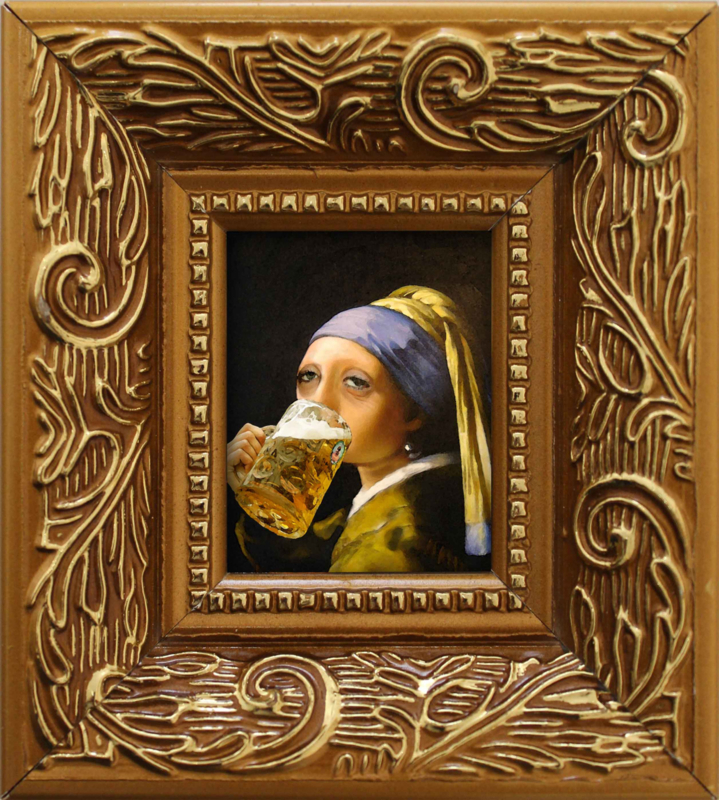 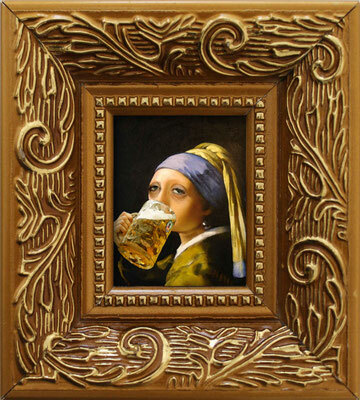 He has given some of their masterpieces a humorous twist to bring them back to our present time. 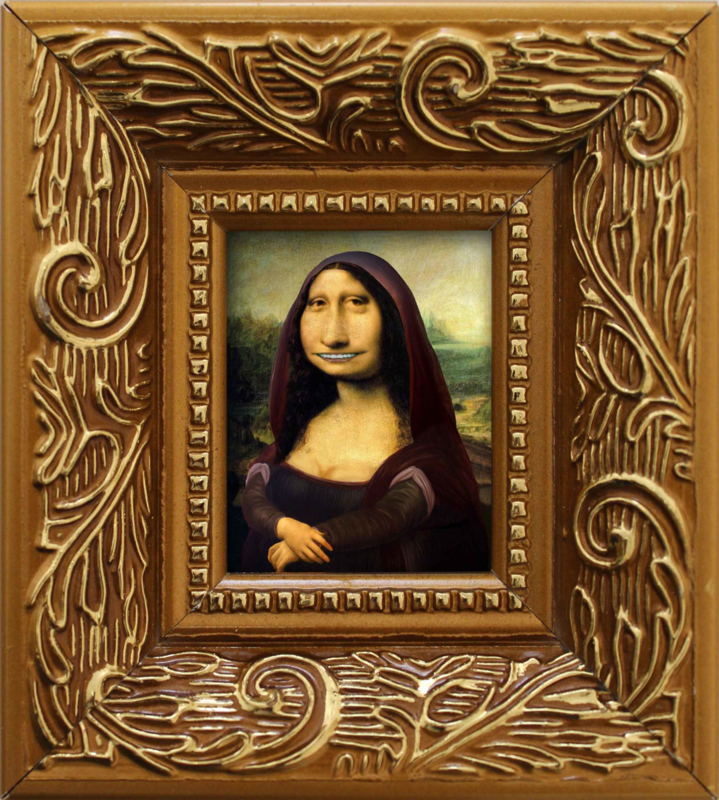 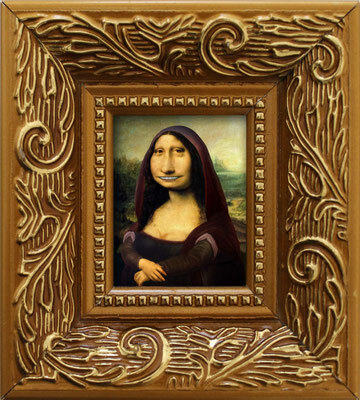 The Mona Lisa was given braces (made from iron wire and molted lead) to reveal the secret behind her mysterious smile. The nun from Rogier van der Weyden is smoking a cigarette and seems to communicate with God via circles of smoke. 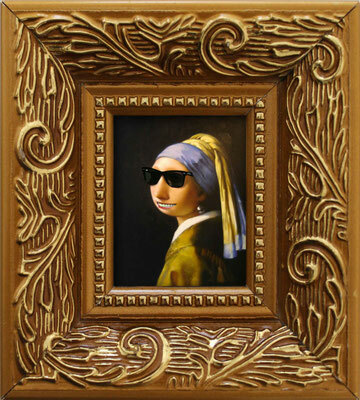 The Girl with the Pearl Earring was transformed into an image of pixels. 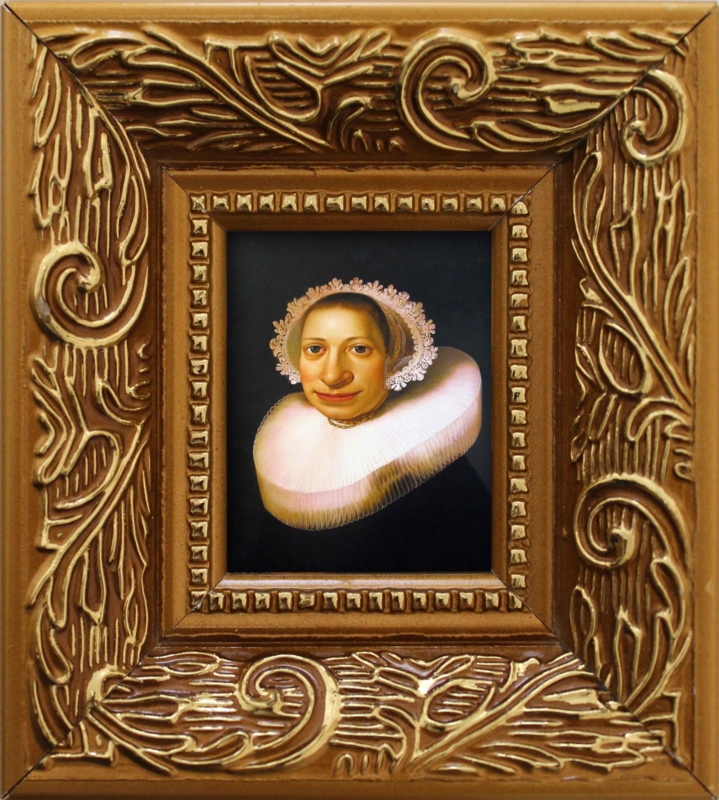 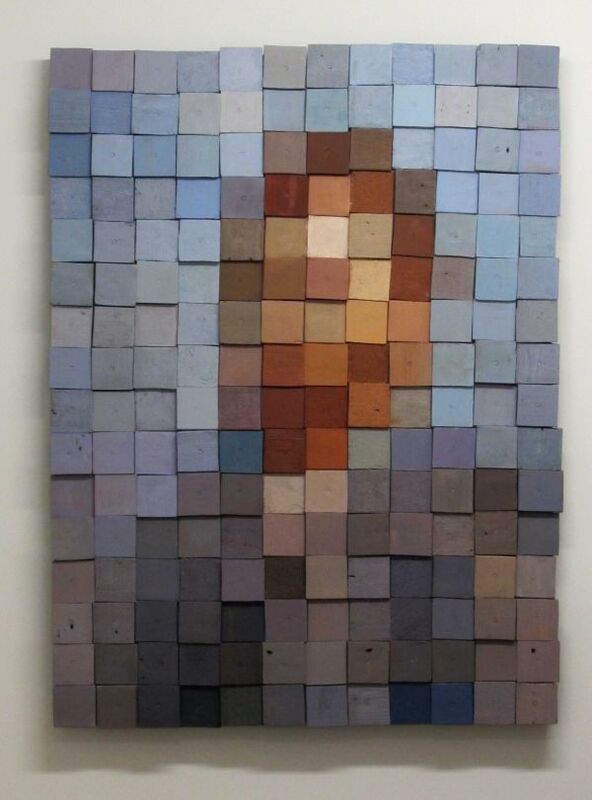 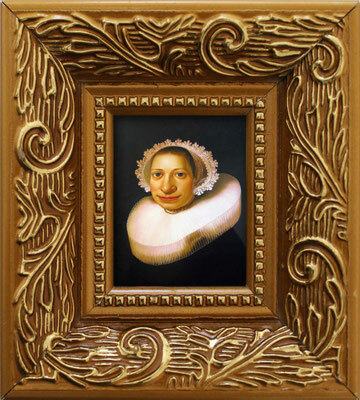 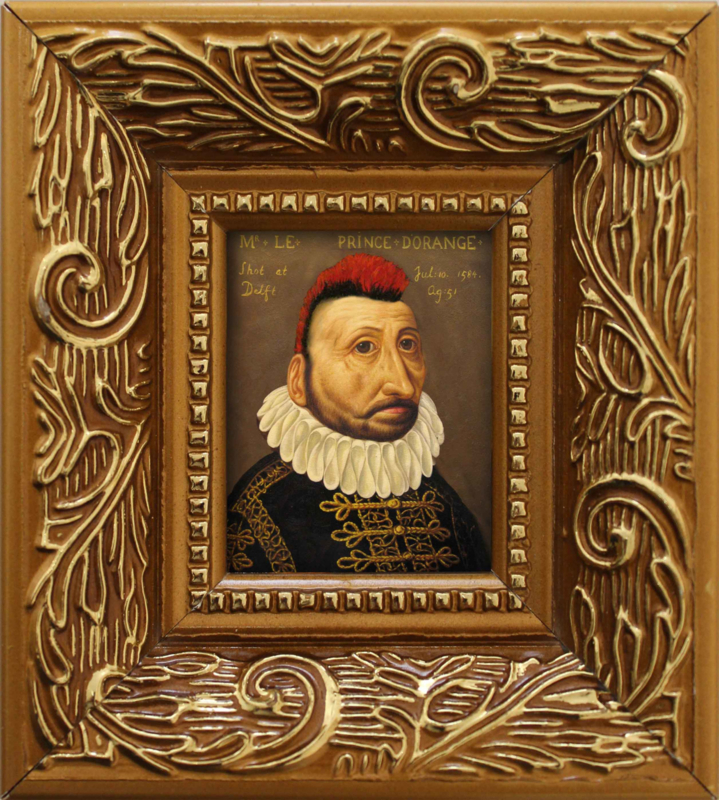 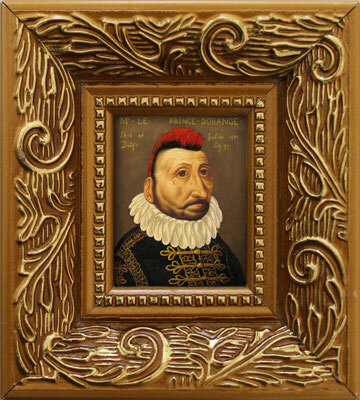 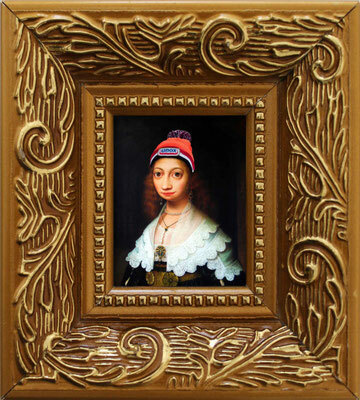 The painting has been created with small blocks of old, painted wood. 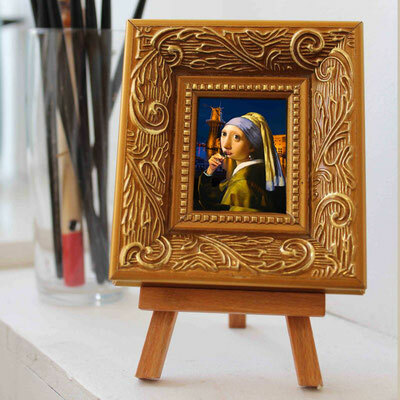 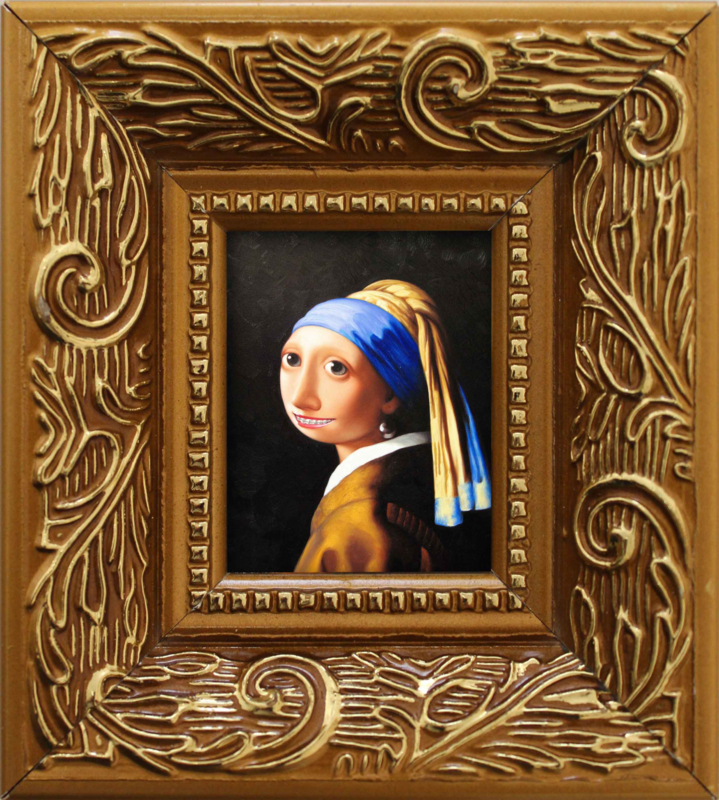 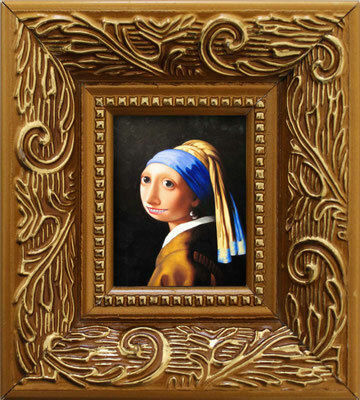 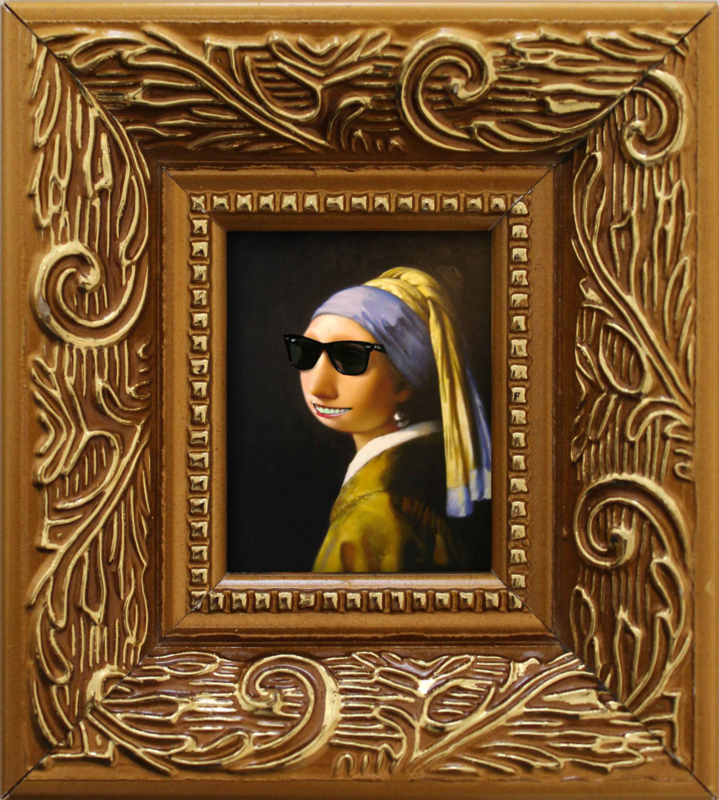 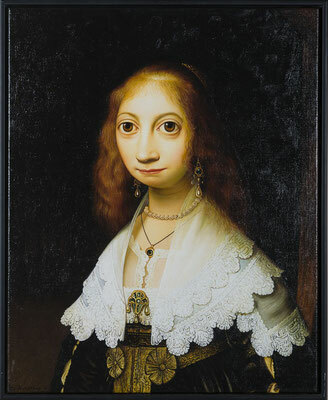 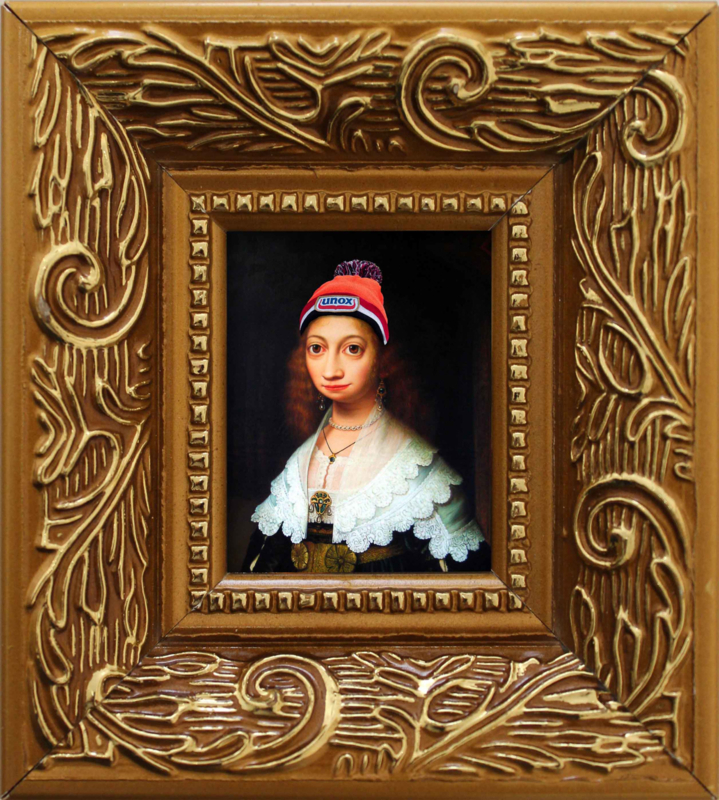 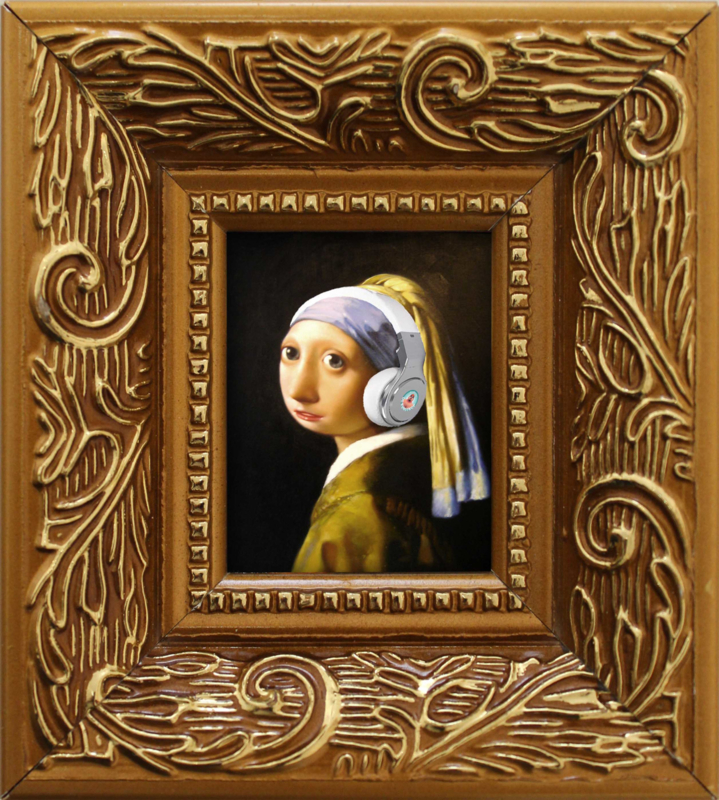 The viewer is invited to create his own girl with the pearl earring in his imagination. 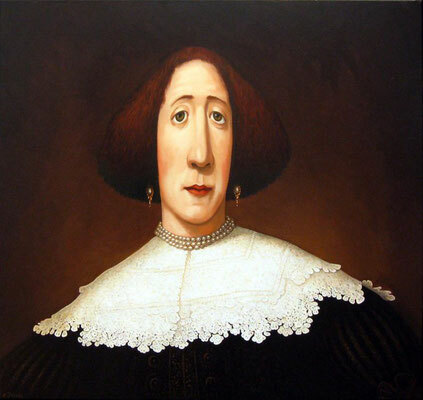 But the work of Rene Jacobs goes beyond the recreation of well-known masterpieces. 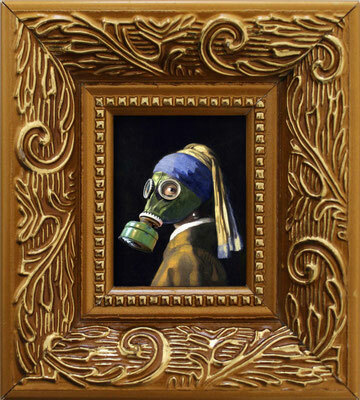 Rene Jacobs is also fascinated by the way modern times are changing the classical landscape. 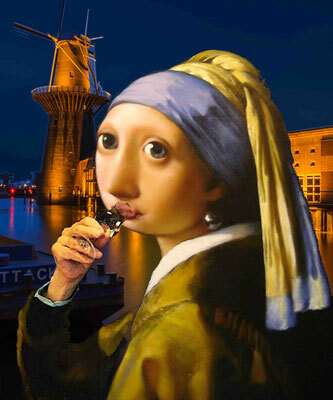 This theme is captured in the “battle of the windmills”. 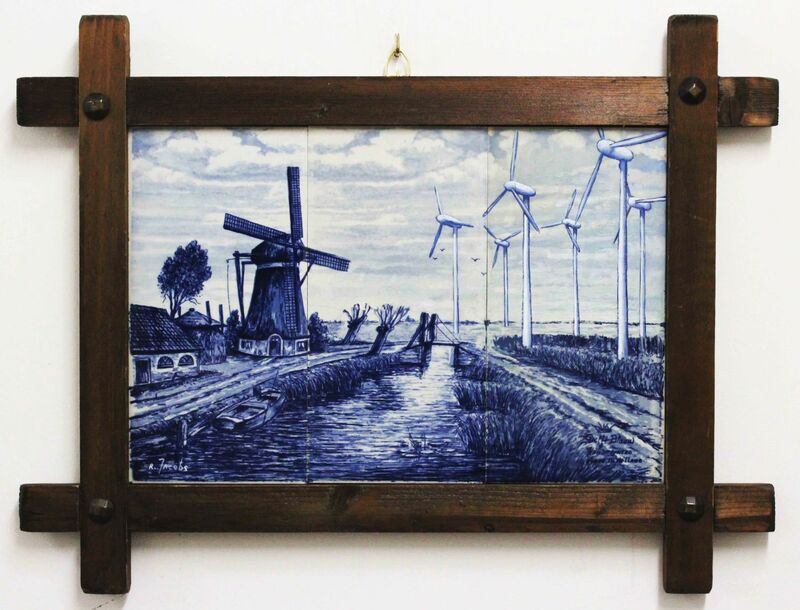 Rene Jacobs has painted some modern windmills on top of an existing, hand painted tile tableau from the fifties with classical windmills. 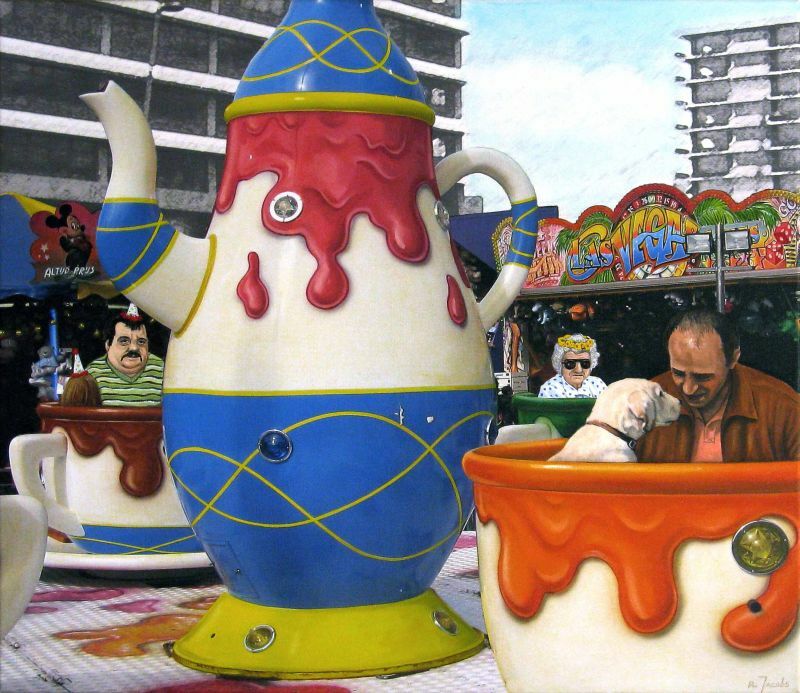 Finally the old meets the new in the painting “No Satisfaction 4 Keith” where Keith Richards is cleaning the streets to make a living. 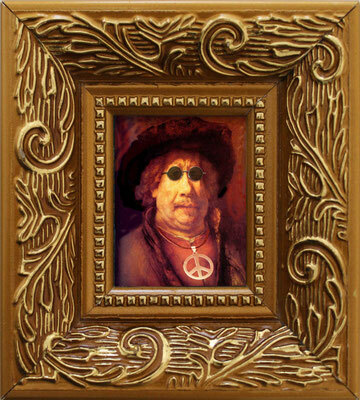 His fame has crumbled into obscurity but the rock star inside him will never die. 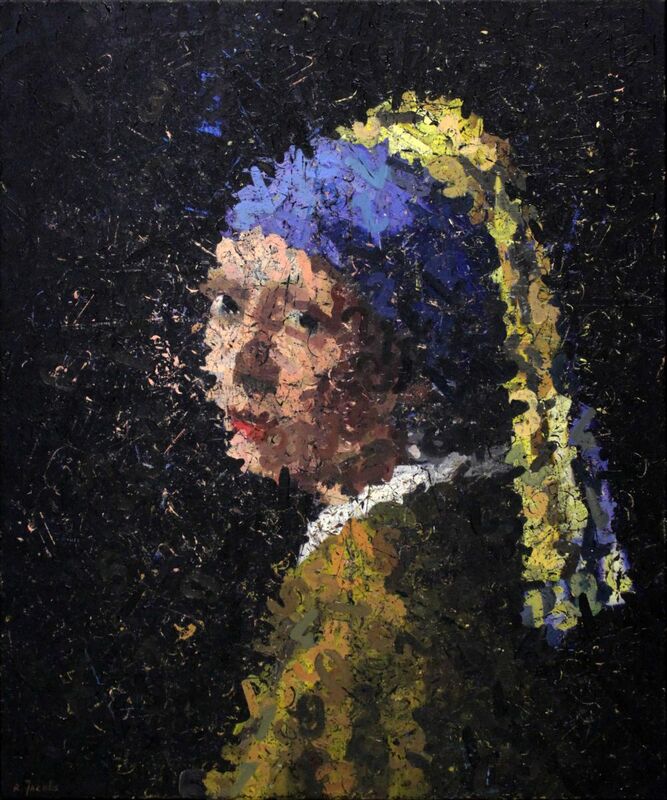 In this painting Rene Jacobs is combining modern digital techniques with classical oil paint. 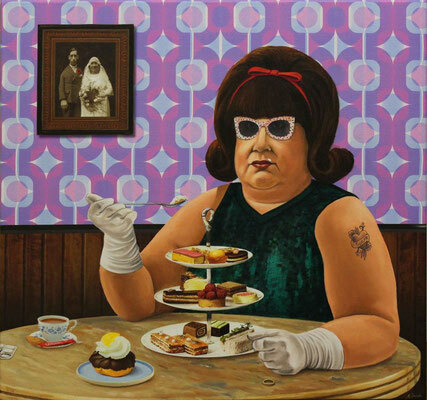 Past meets present in the colourful and humorous artworks of Rene Jacobs.